Have you checked out who else is on ScootPad? My School Community is a platform where you can do just that! you can connect with fellow educators to exchange ideas, best practices, and much more. With My School Community you can now see other teachers from your school and from other schools on ScootPad, opening the doors for collaboration! 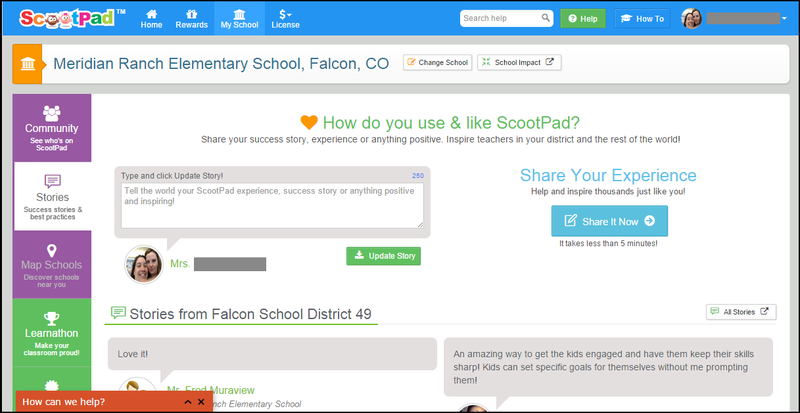 You can go to Stories and share your unique ScootPad experience with thousands of ScootPad users and show them the impact ScootPad has had on your students and on yourself! By clicking on Map Schools, you can see which schools near you are on ScootPad. So go ahead and click on your “My School” button and get involved with your school community!